@melissajill Takeover Day 3: This shoot was a lesson in simplicity for me. It started as an idea to include our interns in a shoot showcasing a couple dresses from a new local bridesmaid dress boutique. We had fun going to the store and having the girls play dress-up. We found more than just two we liked, so the girls invited some of their friends to join in and model for the shoot. I asked floral, hair and makeup vendors who are friends to join in, too. The shoot evolved in the planning phase, but still stayed VERY simple. Just four girls (and a groom/boyfriend not pictured) in pretty dresses in a pretty location. No other details. I didn’t have grand plans for publication, but was just shooting for myself and my portfolio. We did submit the shoot in the end, and it was picked up for the front page of @stylemepretty. I was shocked, because I have put way more work and thought into other shoots that were passed over by top publications. 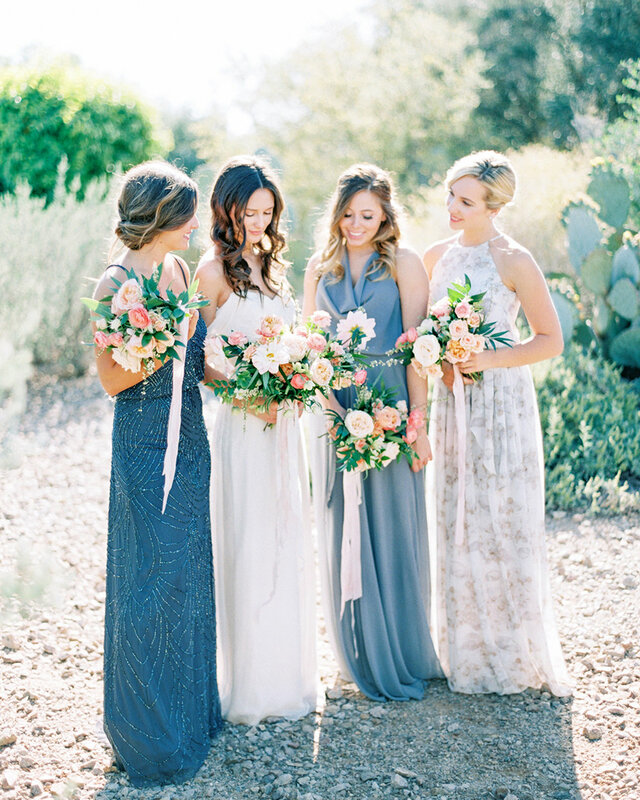 Lesson learned: Styled shoots don’t have to be over-the-top. Sometimes simple is better. @melissajill Takeover Day 3: This here, my friends, is my favorite subject to point my camera at. My sweet #dixieschnauzer. I’m a firm believer that dogs are one of God’s best creations, so I couldn’t resist including Dixie’s sweet mug in my takeover. I secretly love when I have a partial roll left over at the end of a wedding day because it gives me the perfect excuse to “waste” some film on her. Let’s not just use our abilities and the gorgeous medium of film to capture what is important to our clients. Who do you love more than life itself? I challenge you to point your camera at them today. @melissajill Takeover Day 2: Engagement shoots are my jam, because I love capturing a genuine connection between two people AND I don’t feel rushed or pressed for time. Oftentimes, couples are more creative and playful during an engagement session than on their wedding day. As film photographers, we all love a killer location or sweeping views, but sometimes I find that the combo of good light and a simple background allows you to isolate the connection between your clients, providing the most powerful images of all. @melissajill Takeover Day 2: You would never know it from this image that this wedding took place at a country club. Country clubs are pretty and all, but when you are already shooting the ceremony on the edge of a golf course it is nice to change things up—at least for me—so that the portraits aren’t all taken on the same manicured green grass. I much prefer the neutral tones of the desert, and thankfully my early arrival for scouting—even at a venue I am familiar with—paid off when I came across this spot down next to the maintenance entrance. Preparation for the win! @melissajill Takeover Day 2: Light is King. This image was taken as part of a styled shoot during midday when the sun was bright overhead. I knew that I wanted to capture the gorgeous detailing of this @bhldn gown. I’m sure the venue catering manager thought I was crazy to shoot in one of the most nondescript spots of a gorgeous venue—a dark walkway under an overhang that guests merely used to get from one place to another. But while this spot isn’t a location the staff will take you to as their prize portrait site, it provided the perfect side light and neutral background that I needed for my purpose. I’ve found that mixing in these types of minimal shots that have clean backgrounds with portraits in more picturesque locations make for a more well-rounded submission or blog post, giving the eye moments of rest within the story.